There was a time in this town when you started your night off with two “purples” at Baby A's and then shimmied on down to Dirty. Ain't no shame in that game. But as the city has evolved, so too have our opportunities for delightful frozen beverages. We'll still get down with a piña colada or a frozen marg but it's nice to have options. Roof decks and frozen drinks ... amiright? The Chilanga margarita here is legendary: spicy and sweet with a chili rim. It'd be remiss if you don’t try the other ones, though. You know, in the name of research. Order the mangorita, piñarita, or avocadorita. Aristocrat replaced the Poodle Dog, but we’re cool with it because it's doing drinks like the Orange Julie-ish. She's made with 100-percent blue agave tequila, fresh-squeezed oranges, Licor 43, organic almond milk, and orange bitters. In addition to an outrageous burger eating challenge, this sports bar has done frozen drinks since day one. Choose between a frozen vodka cherry limeade, frozen Jack and Coke, and a frozen Caucasian to go along with your tempura pickles. Hey, big daddy! Not one, not two, but 10 frozen build-your-own options. 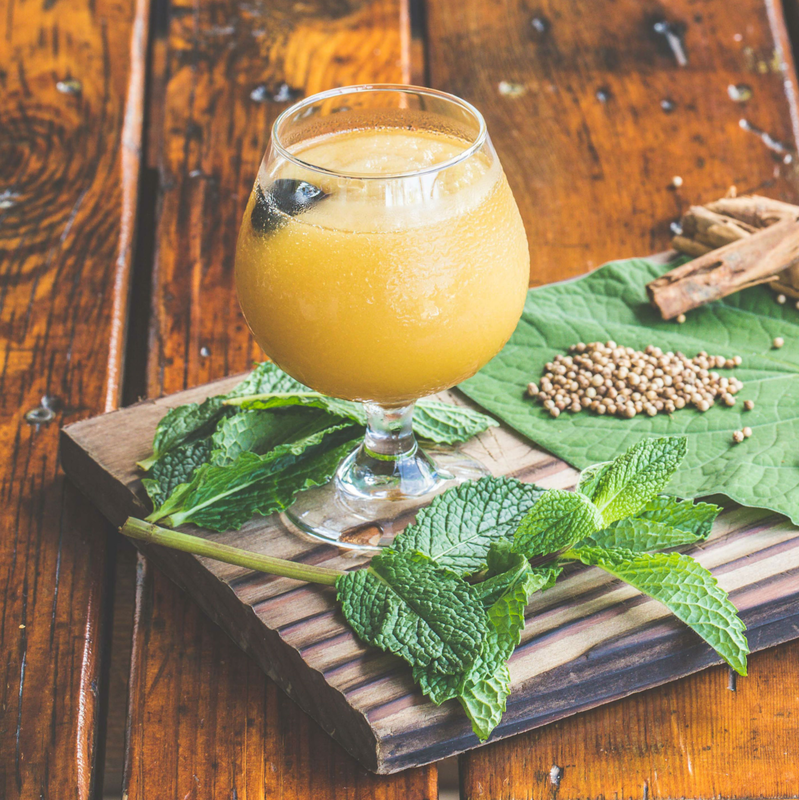 You'll choose a fresh fruit juice and then your poison (bubbles or liquor) and they’ll blend it into a tropical treat. Flavors available are passion fruit, mango, pineapple, blackberry, guava, soursop, lulo, strawberry, peach, or raspberry. Talk about a place that's doing everything right. Head up to the pool deck and getcha some frozen Painkillers made with Cruzan Gold Rum, pineapple, coconut, lime, and orange. And we checked, you can definitely drink in the pool. Cuba is slowly but surely becoming an accessible travel possibility for Americans. In the meantime, you can satisfy yourself with one of Habana’s “frojitos.” It’s exactly what you think — a minty, citrusy, frozen mojito. Try it with a traditional cubano sandwich in one of the Tiki huts. 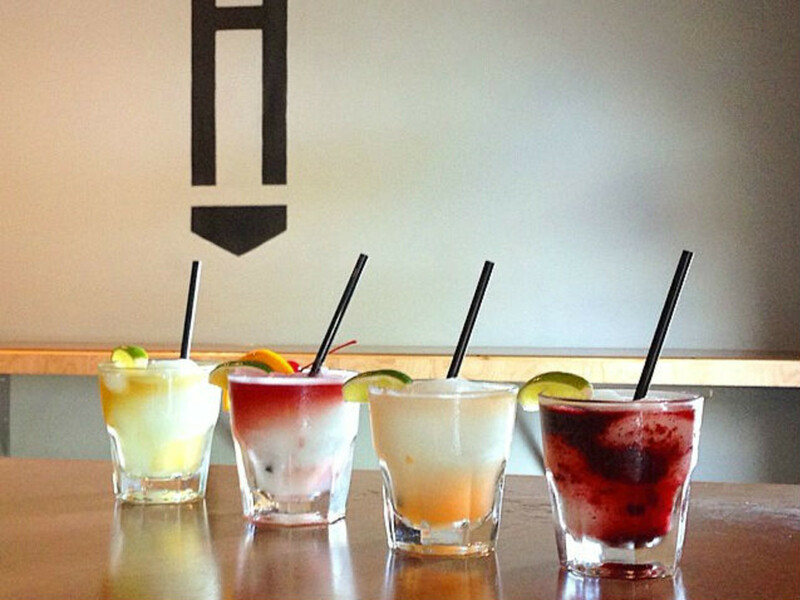 During weekday happy hour, from 4 to 7 pm, frojitos are $5. Brazil’s national cocktail hits the right note on a steamy summer day. Hightower freezes its caipirinha and gives you some add-in options: Ancho Reyes, Solerno blood orange liqueur, strawberry puree, or sangria. 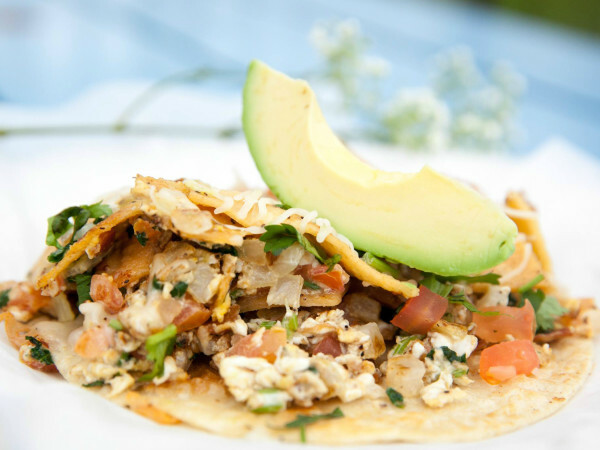 Pair it with fresh mahimahi ceviche or fried chickpeas during happy hour. 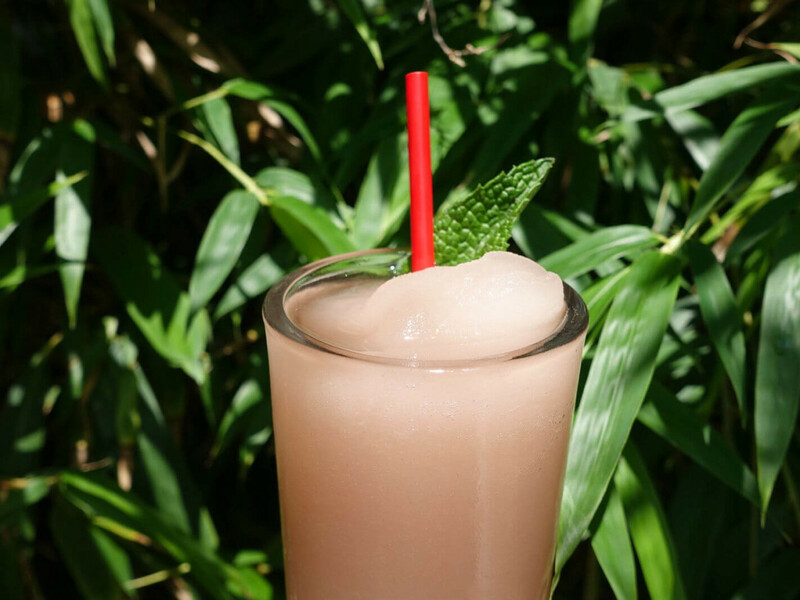 Rosé on a whole new level: Hotel San Jose is now offering Frosé. Sit on the patio, hang with Sister Temperance, do one of the craft nights (Block printing? Chain stitching? ), and lose yourself in the glory of wine that doesn't get hot. 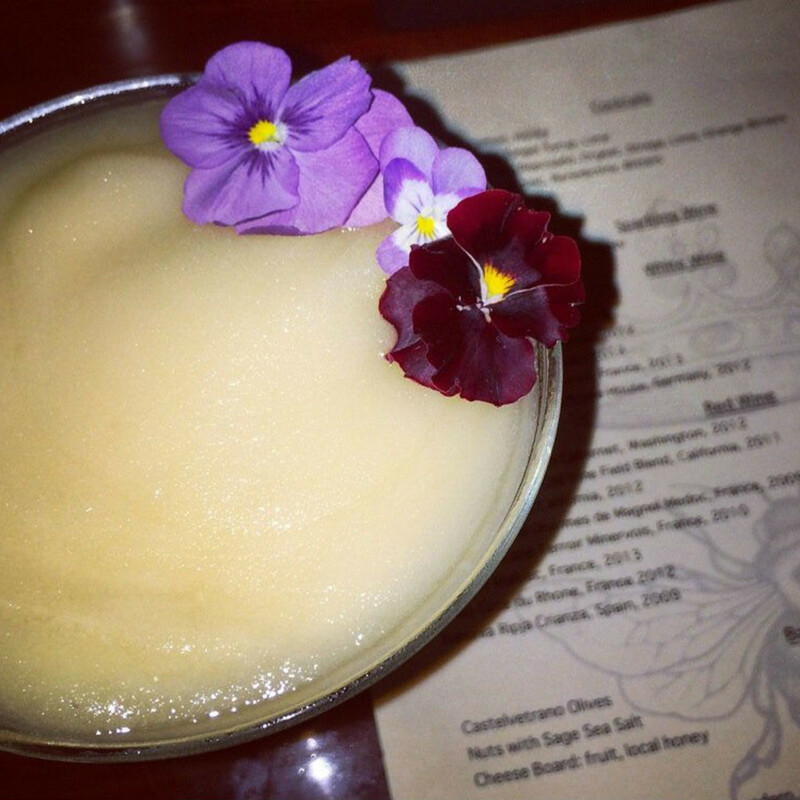 Come for the Monday night blues, the mezcal, the pizzas ... and stay for the Bees Knees, a frozen concoction with honey, gin, and an edible flower. 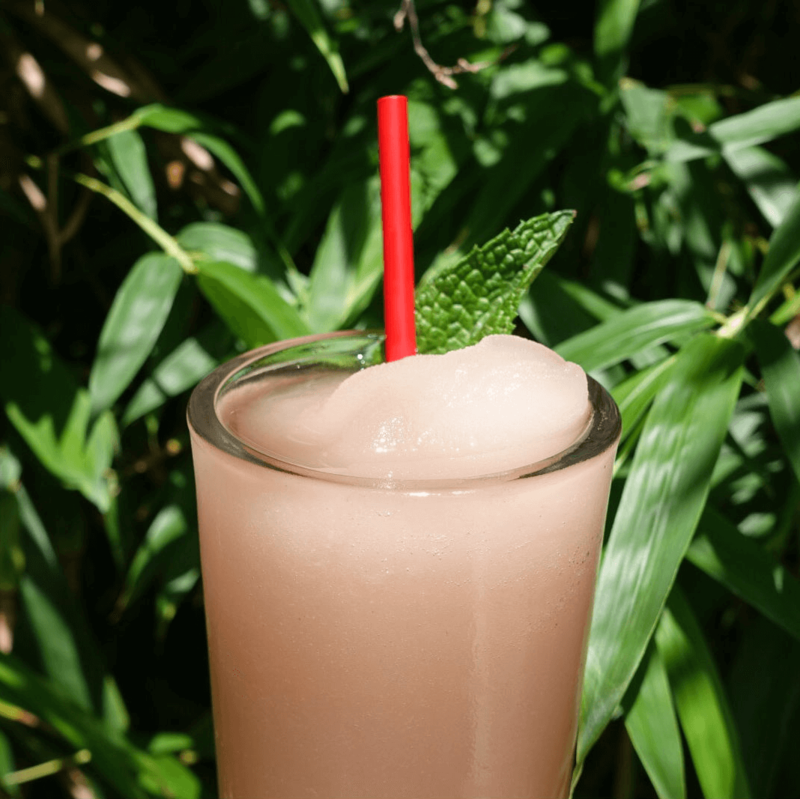 This South Austin newbie is coming in strong with a frozen drink that changes almost daily. On regular rotation: Super Sonic (cherry limeade), The Mango Fandango (pure mango nectar), and The Big Shirl (fresh watermelon juice and Deep Eddy lemon vodka). If you're particularly thirsty, get the extra-large version, and if you're looking for fun on the Fourth, Little Darlin' is doing themed frozen drinks. 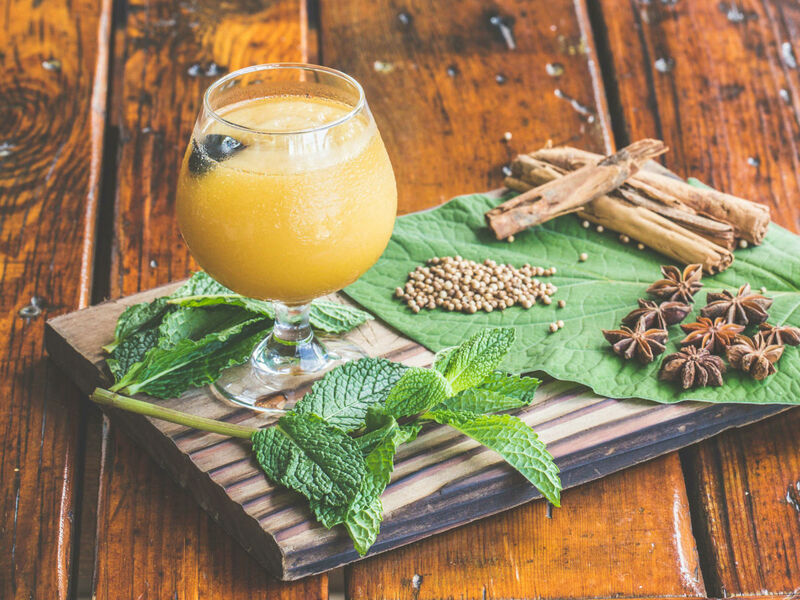 Odd Duck has a rotating frozen option, and right now it’s Bart’s Root Beer made with Blackwell Rum, Pisco Ocucaje, hoja santa, sarsaparilla. Yep, we’re not totally sure what all those things are either, but if it’s at Odd Duck, odds are it’s well done and well worth it. It's been a staple of the east side since the beginning, but that doesn't mean it's resting on its laurels. With five new frozen drinks on offer, everyone in your group can pick their pleasure. Shangri-Lada, strawberry lemonade, D'Mango Unchained, frozen Irish coffee, and Afternoon Delight are all here. Now watch me whip, watch me nae nae. The Iron Whip is an east side standard. 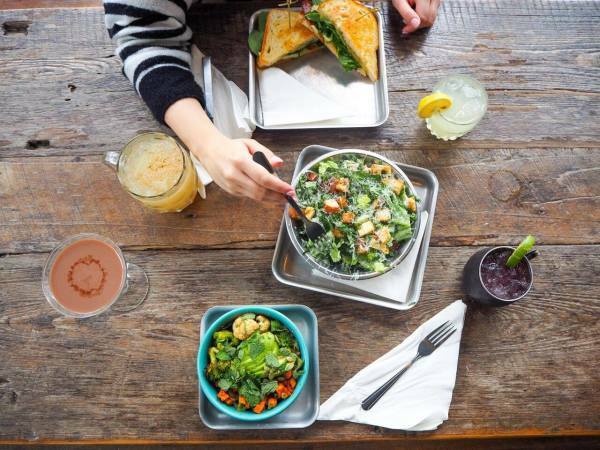 It debuted at Italo’s (RIP), popped up at Iron Gate, and Violet Crown Social Club kept it on the menu after the renovation. The machine whirs away, making magic behind the dark bar. Think Flintstones Push-Up plus lots of booze. 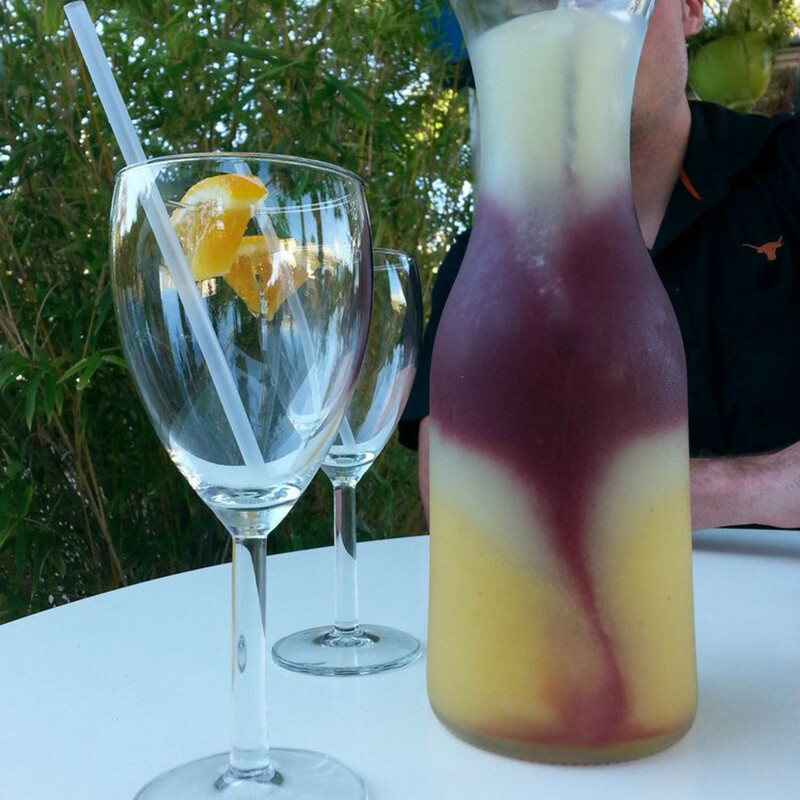 Any place with a big patio is wise to have a frozen beverage on hand. 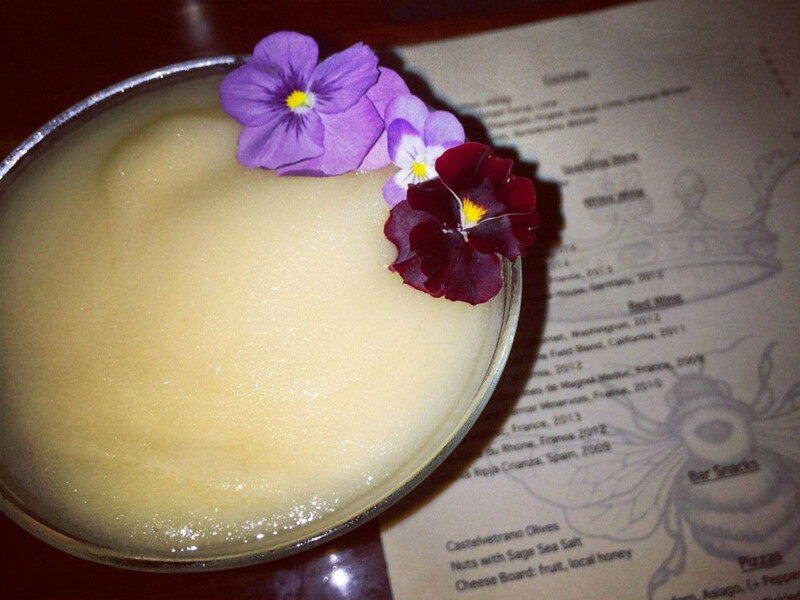 Whisler's is doing a Flor de Caña daiquiri right now. 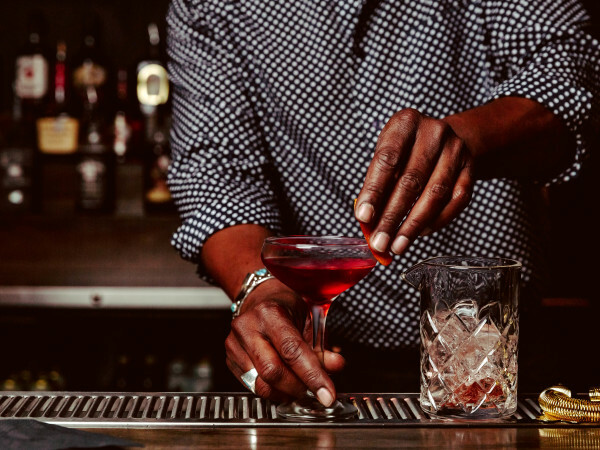 This isn’t one of those overly sugary, 44-ounce gut busters that comes straight out of a tub — it's a legit craft cocktail even Hemingway would approve of. 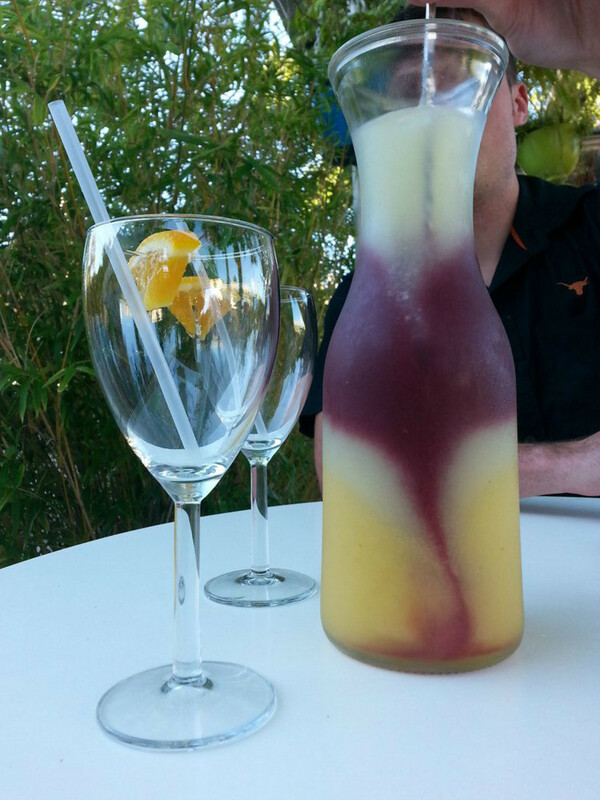 Zocalo’s frozen sangria is the stuff of pool party dreams. 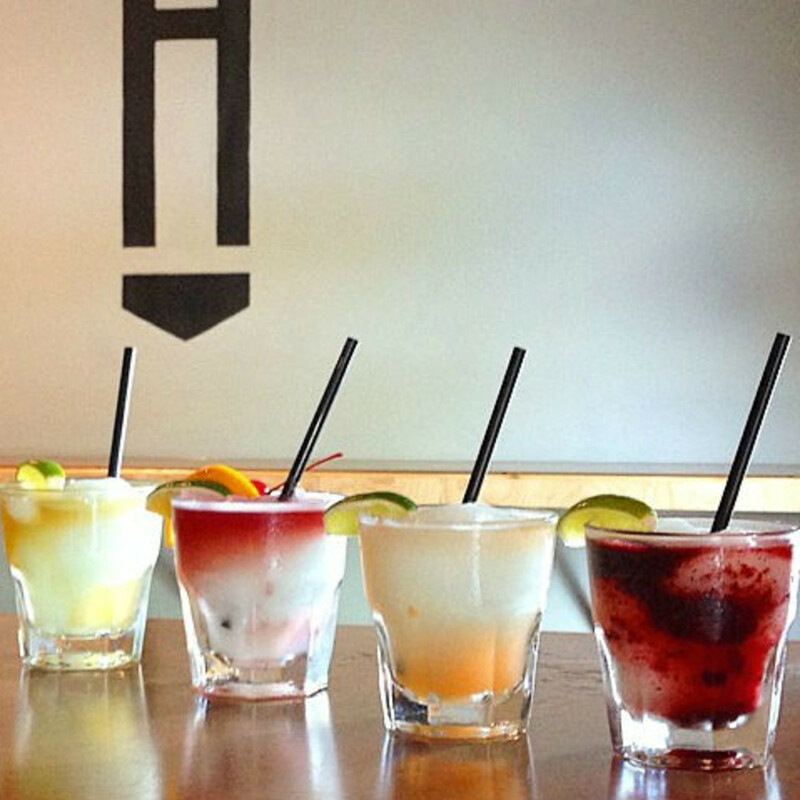 Sweet, tangy, icy, and only $2 a glass or $8 a carafe on its Muy Loco Wednesdays. You can also find them discounted during the 3 to 6 pm happy hour running every day (even weekends). It also has Zoca-Ritas and horchata coladas on tap.